Land Rover teased a picture of a new off-roader yesterday. Although the company hasn’t mentioned the name or any other details, we are guessing it’s the new Defender. 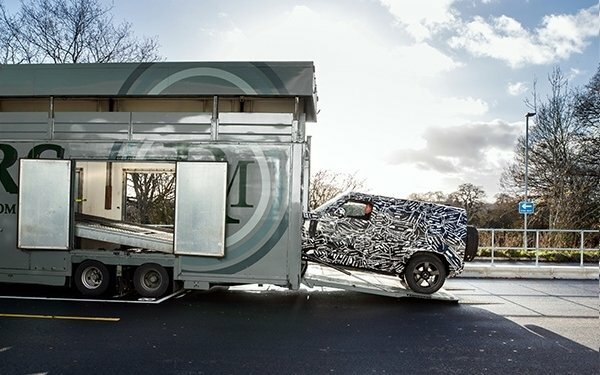 The off-roader, in the picture, is seen ramping out of a trailer, covered in zebra camouflage, looking kind of like a Mercedes G-Class. What an early Christmas present this is!